YMAA seeks to preserve, develop, and refine traditional Kung Fu (Gongfu), Tai Chi (Taijiquan), and Qigong to an exceptionally high standard through an international, mutually-supportive community and network. We openly welcome, teach, learn from, and support all who share their knowledge about any related external or internal art. Our goal is to educate the world about this piece of culture, its history, and the YMAA training philosophy. At YMAA, our vision is to use Chinese culture and martial arts training to foster a global nation of like-minded people who help each other achieve their goals. We aim to build students' confidence, physical health, mental focus, and self-discipline. YMAA provides an environment for students to succeed through a supportive yet demanding training program. Our school promotes traditional methods of practice, challenging ourselves and each other physically, mentally, and spiritually. Yang's Martial Arts Association (YMAA) is an international martial arts organization and community that embraces traditional training, self-discipline, and martial morality. YMAA was conceptualized, established, and realized by Dr. Yang, Jwing-Ming. All around the world, YMAA offers classes, seminars, and instruction in Shaolin Long Fist, Shaolin White Crane, Taijiquan, and Qigong. Dr. Yang has over 40 years of martial arts experience and is a world-renowned teacher and author. ​After almost 3 decades of overseeing and directing YMAA International, Dr. Yang officially passed down the YMAA school legacy to his younger son, Nicholas. As Dr. Yang continues his 10 year project at the YMAA California Retreat Center, Nicholas will continue to manage YMAA International as the organization's President. Dr. Yang, Jwing-Ming has an extensive training background under many masters, namely: Master Cheng, Gin-Gsao, Master Li, Mao-Ching, and Master Gao, Tao. 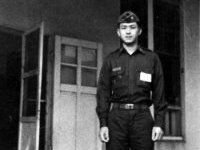 In 1974, Dr. Yang moved to the United States to study mechanical engineering at Purdue University. 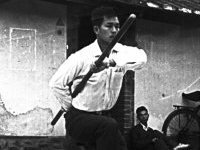 At the request of a few colleagues, he began to teach Gongfu, founding the Purdue University Chinese Gongfu Research Club in 1975. He also taught college-credited courses in Taijiquan. In May 1978, he was awarded a Ph.D. in Mechanical Engineering by Purdue University. 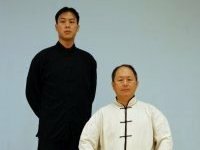 In 1980, Dr. Yang moved to Houston to work for Texas Instruments and also founded Yang's Shaolin Kung Fu Academy, now under the direction of his disciple Jeffery Bolt. In 1982, he moved to Boston and founded Yang's Martial Arts Academy. 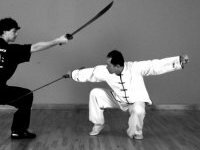 In 1984, he gave up his engineering career to devote his time to the research, writing, and teaching of Chinese martial arts. YMAA Publication Center was founded on January 1, 1984 with the goal of producing superior books and instructional videotapes on Qigong and Chinese martial arts. In 1986, Dr. Yang moved YMAA to the Jamaica Plain area of Boston and established this location as Yang's Martial Arts Association (YMAA) headquarters. YMAA became a division of Yang's Oriental Arts Association, Inc. (YOAA, Inc.) in 1989. 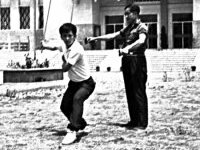 With the intent of preserving traditional Chinese Kung Fu and Qigong, Dr. Yang began training students worldwide in the rigors of Shaolin Long Fist, Shaolin White Crane, and Yang Style Taijiquan. Through the YMAA Publication Center, Dr. Yang also undertook his life-long dream of teaching and researching the Chinese arts and introducing them to the West through many books, videos and DVDs. Dr. Yang continues to openly share his knowledge with the entire world. YMAA has grown into an international organization that includes 60 schools spread across 19 countries. YMAA Publications books and videos, have been translated into French, Italian, Spanish, Polish, Czech, Bulgarian, Russian, Hungarian, and Farsi. In 2005, Dr. Yang established the YMAA California Retreat Center, a dedicated training ground for a small committed group of selected students. 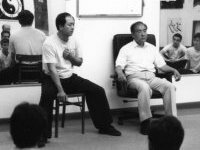 Located in the mountainous regions of northern California, the center was formed to host a 10-year training program, directed and taught by Dr. Yang himself, beginning in September 2008. It is Dr. Yang's wish that through this effort, he will be able to preserve traditional Chinese martial arts to the same standards and quality of ancient times. He remains the chief supervisor of YMAA International and his younger son, Nicholas, became the succeeding president of YMAA in January 2008. See more about the YMAA Tai Chi Lineage here.